Centerra Services International, Inc. has agreed to pay $7.4 million to resolve allegations that it violated the False Claims Act by double billing and inflating labor costs in connection with a contract for firefighting and fire protection services in Iraq, according to the Department of Justice. Centerra, formerly known as Wackenhut Services LLC, is a security services company headquartered in Palm Beach Gardens, Florida. Wackenhut provided U.S. military bases with firefighting and fire protection services under a subcontract with Kellogg Brown & Root Inc. (KBR), the prime contractor for the Army’s contract for logistical support in the military theater, known as LOGCAP III. LOGCAP III is the third generation of contracts under the Army’s Logistical Civil Augmentation Program. The government alleged that from 2008 to 2010, Wackenhut inflated its labor costs by billing the salaries of certain managers as direct costs under the subcontract, when those salaries had already been charged as indirect costs. The government further alleged that Wackenhut artificially inflated its labor rate by counting its costs for holidays, vacation, sick leave, rest and recuperation and other variable labor costs twice in calculating the rate. Wackenhut billed KBR, which then passed on the costs to the government under LOGCAP III. This settlement resolves a lawsuit filed by whistleblower Gary W. Reno under the qui tam or whistleblower provisions of the False Claims Act. The act permits private individuals to sue on behalf of the government those who falsely claim federal funds, or cause others to do so, and to receive a share of any funds recovered through the lawsuit. Reno will receive $1.332 million as his share of the recovery. 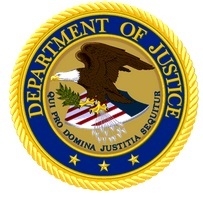 This settlement was the result of a coordinated effort among the Civil Division’s Commercial Litigation Branch, the U.S. Attorney’s Office of the Eastern District of Texas, the Department of Defense Inspector General’s Office, the Defense Criminal Investigative Service and the Defense Contract Audit Agency. The case is captioned Reno v. Kellogg Brown & Root, Inc. and Wackenhut Services, LLC, et al., Case No. 1:10-CV-504 (E.D. Tex.). The claims resolved by the settlement are allegations only; there has been no determination of liability.